Linda is responsible for the overall management of corporate and foundation relationships for the Reynolda campus. She is the primary CFR contact for the Offices of the President, Provost, and Deans of the College and School of Business, and provides oversight for CFR activity associated with university-wide multidisciplinary initiatives and Centers/Institutes. 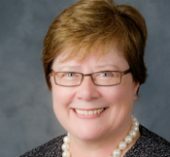 Prior to joining Wake Forest’s University Advancement team in 2009, Linda led the corporate and foundation relations program at the College of William & Mary. Earlier in her career she also served in development roles at Dickinson College and Washington & Jefferson College. Linda holds a BA from Allegheny College and an MA from Duke University. As Associate Director of Corporate and Foundation Relations, Laura manages partnerships with the Schools of Divinity and Law, in addition to various initiatives across campus. 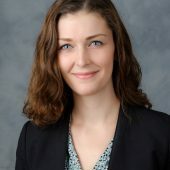 Prior to joining Corporate and Foundation Relations at Wake Forest, Laura served as Director of Development for The Veritas Forum, an international non-profit organization dedicated to helping students and faculty "ask life's hardest questions" on campuses across North America, Europe, and Asia. She also served as a campus minister at Boston University. A graduate of New York University, Laura also holds an MA in Theological Studies from Azusa Pacific Seminary. 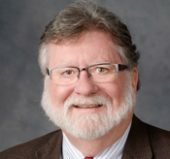 Ken’s duties include research to identify and profile corporate and foundation prospects for various programs, schools, and groups of the University. He also collaborates with others to prepare funding proposals and selected stewardship reports. He has 20 years of grantsmanship experience, including five years with the Wake Forest CFR team. In addition to an interest in philanthropy, he enjoys researching history and technology. Ken received his BA degree from Wake Forest University and MA degree from the University of Kentucky. 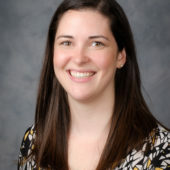 Katie oversees the stewardship and prospect research efforts of the Corporate and Foundation Relations department. Before joining the Wake Forest Advancement team, she served as stewardship writer for The Colonial Williamsburg Foundation, where she prepared written materials for individual donors, corporations, and foundations as well as presentations and articles that convey the broad impact of donor support. Katie holds a BA from Virginia Tech and an MA from Wake Forest University.